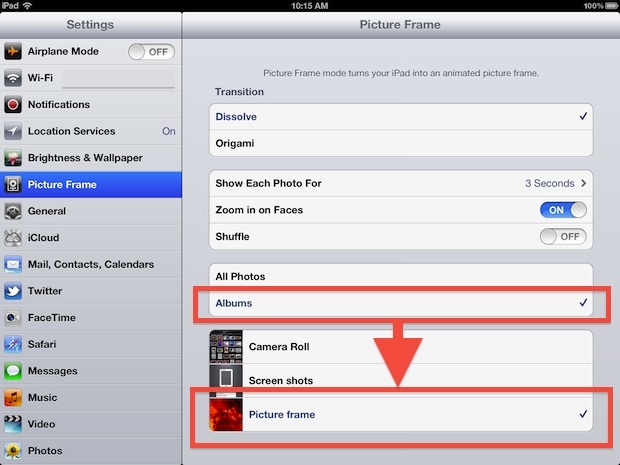 Now you will want to add photos to your album, remember this album will serve as the picture frame feature of the iPad, so don’t include private photos or anything you wouldn’t want to be cycling through the photo frame. This process can be repeated at any point after initial album creation by tapping the “Edit” button again. 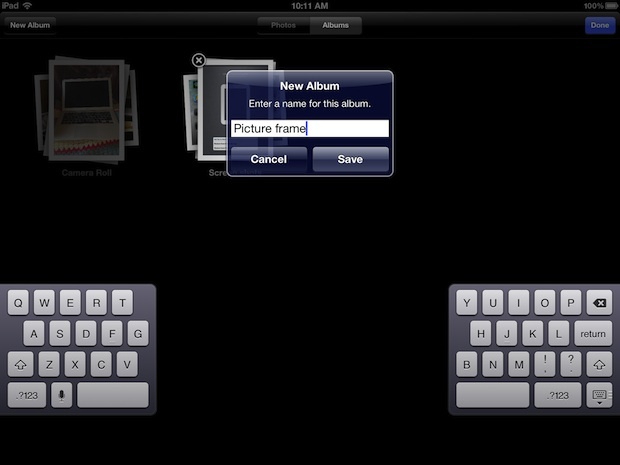 Now Picture Frame won’t bore viewers with screenshots and embarrass you with bad pictures from the Photo Booth app. If you’re looking for some high res images to show in the picture gallery, don’t miss our recent post with 13 retina iPad wallpapers, or our general wallpapers section in general, they all make for great backgrounds and pleasing eye candy. How hard would it have been to provide the choice of delays longer than 20 seconds in Picture Frame ?